One of the things I absolutely love about IMPACT is that we all have the ability to test and try things out. Our company culture encourages creativity and innovation, which allows us to figure out what works and what doesn’t so that we can share our successes and failures with our clients and community. Video is one tool that, over the past year, we’ve had the opportunity to dive into and get creative with. As a sales team, we looked at video and asked ourselves how can we use it to stand apart, establish stronger relationships, shorten our sales cycle, and ultimately close more business. And with having the flexibility to step outside of our comfort zones, we’ve tested out video throughout our entire sales process to see what sticks. In this article, I dive into the seven ways that using video has made our sales process better - which I hope helps spark ideas of how you and your team can incorporating it. One of the best ways to speed up the sales process is by educating prospects early on in the relationship. Sure, you probably invest time and resources into creating educational content about your services but do you have video content around the most frequently asked questions you hear in the sales process? We call these videos 80% videos. They are the 80% of questions you hear time and time again that you could probably recite in your sleep. By addressing the questions we know we’re going to be asked via video, we are able to spend more time getting to know prospects and their unique needs. Not only does it save time on additional calls but it also shortens the sales cycle. Think about it, the majority of your meetings with prospects are probably around a list of questions they have to determine if you’re the best fit to solve their needs. So, why not supply those questions you know they’re going to ask beforehand? Not only does this help your prospects but it can also help you weed out unqualified leads earlier on - which allows you to spend time on deals that are going to be best for your business. Having 80% questions and answers in a video format also helps with relationship building and introducing the experts on your team. Whether it be your sales team answering questions, or other experts in the industry from your company, it’s important to “show face” and allow your prospects to get to know your team as much as possible so they feel comfortable. It also allows them to get to know you on a much deeper level than plain email exchange and phone calls could ever do. (Especially if most of your business is remote and not face to face). 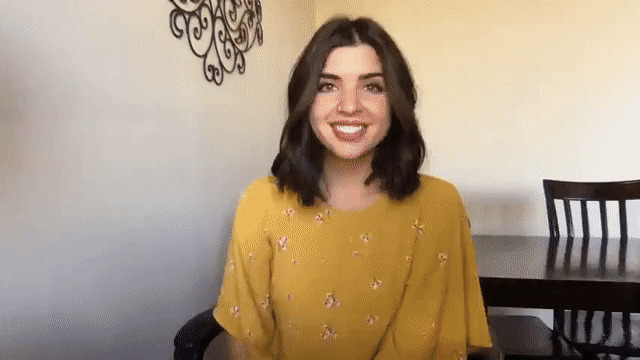 Another type of video that has helped our sales team build stronger relationships with prospects is through 1:1 videos. We work with companies all over the world and have found it important to connect on a deeper level than only communicating via email or phone. Why? Think about it - you buy from whom you trust and whom you like. There is only so much you can gauge about someone from phone calls if you aren’t able to meet face-to-face. We’ve found that adding 1:1 videos has helped with building trust. So when do you use them? There are few different ways we’ve incorporated 1:1 videos that we’ve seen effective. First is through initial introductions. Whether that be someone reaching out to our company for the first time or when there is a transition between team members in the sales process, it’s a great way before your first meeting to introduce yourself, let the person know who you are and a little about yourself. It also gives you an opportunity to set expectations for your first meeting together. We’ve seen that prospects appreciate and enjoy virtually meeting someone beforehand and feel more connected and comfortable on the first call. It also helps set a strong first impression early on. Another area we used 1:1 video is for meeting follow-ups. For example, we’ve seen that recording a video follow-up after an explore call allows us to recap the lengthy conversations we’ve had with a prospect, recapping what was discussed which shows the prospect we’re on the same page and understand what they were looking for. It also provides the prospect something they can refer back to or share if needed. 1:1 video also gives you an opportunity to show your excitement of potentially working with your prospect. The last thing you want to do is have a powerful meeting and then let the excitement fall by sending a generic follow-up message. Video allows you to keep the momentum going while also keeping the prospect excited with the opportunity of working with you. Another area that we’ve seen a direct correlation between video and success in our sales process is the number of initial sales meetings we’ve been able to book. We have a healthy flow of inbound leads that come through on a daily basis (thanks to all the hard work our team has put in with content creation and building the machine that it is today). You may think that if you have an inbound lead coming through that it’ll automatically result in an initial sales conversation, but that isn’t always the case. I say that because I’m pretty quick at picking up the phone and calling any inbound leads that come through. In fact, our SLA of reaching out is within less than 5 minutes during office hours. Reason being, the person is more likely to be near their phone and have you top of mind. With that being said, there have been a handful of times when I get back to someone within that time frame but they don’t answer their phone. I’ve seen that my chances of getting a meeting booked with those people up-ticks significantly if I use a 1:1 video in email outreach. 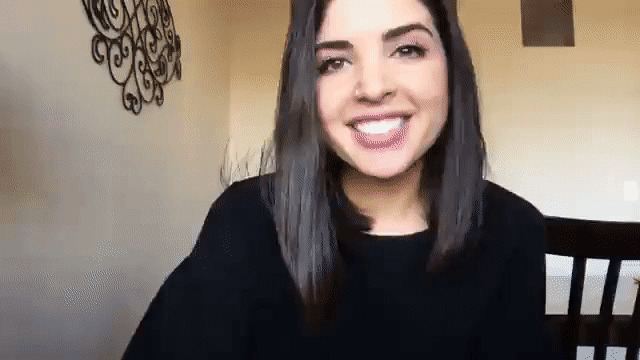 In that moment, I’ll record a quick video introducing myself, letting the prospect know what I’m looking to cover on the first call and inserting a CTA in the video with my meeting link. Well, chances are the person who filled out the form on our website is also filling out a handful of others and either the person is on the phone with another company when you first reach out or they’ve stepped away from their desk. The video you send not only helps you stand out as a response (because chances are no one else in your space is doing this) but it helps set a strong first impression. Think about the typical responses you get after you fill out a form - they’re usually automated or just straight up “let’s book a meeting” text. Incorporating a personalized video helps you stand out amongst the clutter quickly and increases your chances of getting a meeting booked. Recently, we added another way for inbound leads to get in touch with us by including my calendar link on our website. This allows someone to book a time to speak immediately rather than having to fill out a form. 2. That if the person had meetings with other organizations before we connected, I still had an opportunity to make a first impression and keep the person interested in wanting to talk. With this video automation, we’ve seen that the number of no-shows to calls is almost non-existent and that it’s helped with building the relationship sooner which has helped with shortening our overall sales process. Every sales team deals with the issue of stalled and lost opportunities - it’s inevitable no matter how much of a sales rockstar you are. 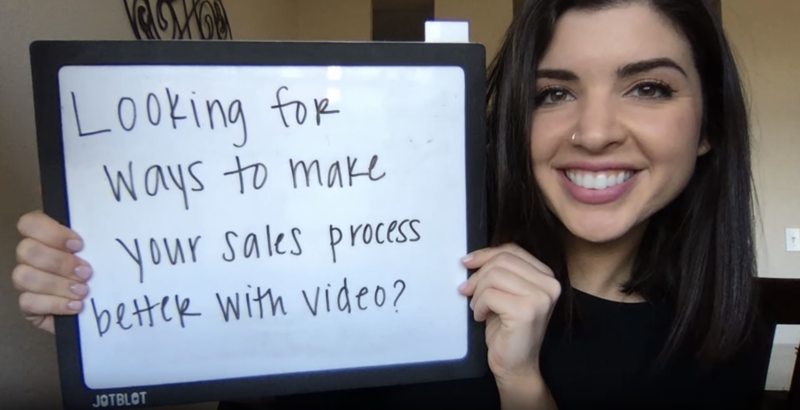 As we began incorporating video into your sales process, we thought about ways in which video could be effective in re-connecting and sparking the relationship back up. One of our greatest almost lost opportunity success stories we have comes from an abandoned chatbot conversation. We had our automation setup so that someone could book a time to speak with us through our chat. In the process, it would ask for the website visitor’s email address to initiate the calendar booking. I saw a visitor on our site going through the process and when they got to the point of booking a time and providing their email, they abandoned the chat. In that moment, I recorded a quick 2-minute video to the person and emailed it to them with my meeting link. Now, before I dive into the results, it is common for most calendar abandonment strategies to trigger an email workflow to those individuals. For the most part, we didn’t see much traction with those email engagements, which is why I opted for trying out video. 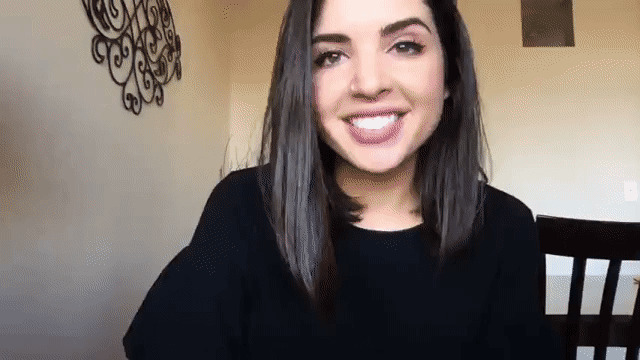 After the prospect received the video message, they booked a time to meet on my calendar, and, during our initial conversation, they mentioned the video message they received was the reason they decided to book a time to speak; that it was unique and different from anything they had seen. Not only did this almost lost opportunity resurface, but they continued through our sales process and closed a few weeks quicker than other opportunities. In addition to chatbot abandonment, we’ve seen that video has helped with leads that have gone silent during the sales process. For example, during the holidays one of our team members used video as a way to wish her stalled opportunities a happy holiday but to also check-in on where they were in their decision-making process and provide additional information that could be helpful. Our teammate who did this, saw a response from every person but one, giving her an update of where they were in the process, and in the responses, each person mentioned how much they loved the videos. I don’t know about you, but when we would do email outreach to try to resurface stalled opportunities not only were we not getting responses but we weren’t getting transparent responses, nor did we see as much positive reaction as we did with video. Not only have we seen that video has helped with resurfacing stalled and lost opportunities but it’s also increased the engagement. Not only is this a great way to build trust and relationships but we’ve also seen that it saves time. Think about it, when you’re crafting an email, it might take you a good amount of time to make sure it sounds just right. Emails take time to perfect - whereas a video can be recorded within a couple of minutes. Emails might take you a good amount of time because you want to include all the information your prospect asked for by also providing context around each of them. How does video make this quicker? If you have the pre-recorded 80% videos, you can create a quick playlist through a tool like Vidyard and drop them directly into your email instead of having to hunt for supporting resources and organize them into an email. Video can also help you save time if you’re constantly on the road for business and have to wait until you get back to the office to draft up an email response to prospects. Video allows you to record something quick and personal on the road so that you don’t keep your prospects waiting. Another area that we’ve seen video make us more effective is in the final stages of our sales process. When it comes time to sending an SOW, there is typically a period of back and forth meetings to discuss questions of what is included in the SOW. One of the reasons there might be a good amount of back and forth is because the ultimate decision-makers weren’t included in earlier sales conversations. This is where using video can cut down on additional meetings and ensure nothing is lost in translation. When possible, it’s important to have a meeting to review the SOW with not only your champion but with decision makers as well --but that doesn’t always happen. With that being said, video can help you walk-through the SOW as you would on a meeting and it can also help you address questions you know typically arise. Consider inserting your video into your SOW document or outreach to ensure that whoever is reviewing it watches the video beforehand. Using a video platform that allows you to see who watched your videos is important in this case so that you know who from their team has actually watched. If decision makers aren’t involved early on in the sales process, you run the risk of things being lost in translation by the champion. Think about it, you’re selling to the champion and providing information they are asking for - but a lot of times it’s like a game of telephone. Things get interpreted and information gets lost in the shuffle. Video should be a tool you use to make sure messaging from the beginning to the point of the SOW is given to all the right parties. For the most part, there are times of the year when companies close their offices for holidays, company retreats, or big conferences and, in those situations, it’s important to think about what happens with inbound leads. Sure, you might have a sales team that is always connected but at some point, they also need to take time off. 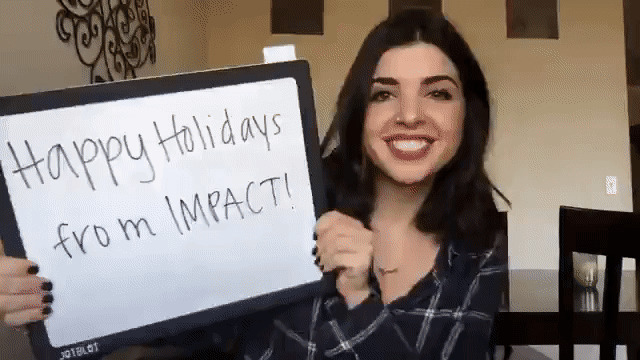 At IMPACT, our office closes for a week in the summer and for the week between Christmas and New Years and we’ve internally discussed what should happen with any leads that come through. As a company, we wanted to make sure that if the majority of the company was taking off that everyone had the opportunity to disconnect and recharge. So, how did we ensure leads didn’t fall through the cracks? We decided to set up workflows where, if anyone filled out a form on our website, they would get an automated email with a video response from me. This video was meant to let them know our office was closed, introduce myself as the person they would be talking to, what to expect on the first call, and provide them with my meeting link so, right in that moment, they could go ahead and book a time to speak. We’ve done this two times so far and have seen that almost every person that opens the email and watches the video books a time to meet when we return. This exchange ensures that the prospect get responded to right away and doesn’t have to wait until we are back. It also provides us an opportunity to connect on a deeper level than a typical OOO email response could. In addition to holidays, this is a great way to set up automation for when most of your sales team is at a conference. This helps ensure that if there is going to be a delay in getting back to people that you have some sort of outreach taking place to initiate a meeting and connect with them rather than having them wait until you’re back online. .
Video can seem intimidating to companies. Whether it’s because of your comfort of being on camera or just having no idea where to start, if you map out your sales process step by step, and identify where video can help you stand out and save time, you’ll soon be on the right track to making your process better for you and for your prospects. If there is one thing to take away from all this, it’s for you to remember video is supposed to be your friend and make life easier, and that you need to keep your prospects in mind when strategizing how to use it. Earlier I mentioned that we use 1:1 videos as a way to recap meetings.